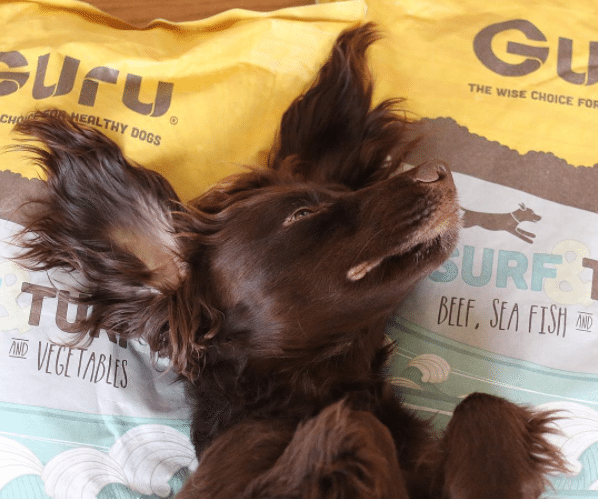 The gorgeous Sev and Lily are Guru’s ambassadogs for 2017. 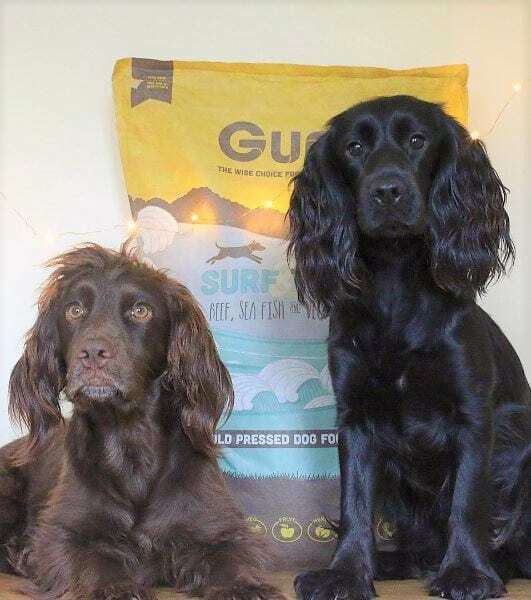 The photogenic cocker spaniels are aged 3 years (Sev) and 1 year (Lily), and are furry bundles of energy and joy, whose exploits are captured on the Spaniel Life Instagram and Twitter. 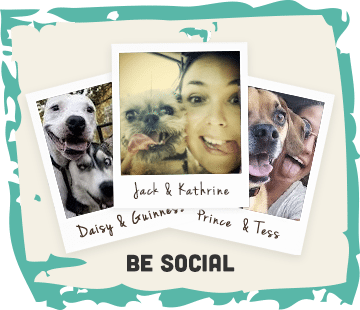 How long have the dogs been on cold pressed now? It’s been about 6-7 months. Sev and Lily took up their role as ambassadogs in September last year, but I’d actually been feeding them cold pressed for a couple of months prior to that. How often do you feed them? I feed Sev and Lily twice a day, once in the morning and once in the early evening. They get fed at regular times, so know when to expect their meals! Has there been any noticeable difference? The big one for me has been the fact that they’re definitely fuller for longer. Previously, I used to just feed them dry kibble, which often left them hungry throughout the day. 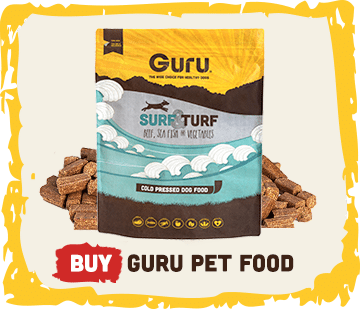 Since giving them Guru’s cold pressed food though they’re noticeably happier between feeds and less prone to beg for food or give me sad ‘puppy dog eyes’ as feeding time approaches. They’re happy to wait until their usual time, which is really useful for a busy dog owner and it makes me happy to know they’ve enjoyed a nutritious and balanced meal. We regularly see them with pictures of our field trip and road trip bones. How often do you tend to give them cold pressed bones? The cold pressed bones are great for when I’m out and about. For example, I recently went to London for some meetings and brought Sev and Lily along with me. During a busy schedule, which messed up their usual feeding times, the bones made an excellent meal substitute. Both dogs were happy to chew away on the bones and barely seemed to miss their usual feed! Oh, definitely. The food is excellent and, as it’s cold pressed, it’s different to anything else on the market. It’s genuinely beneficial for dogs’ health. 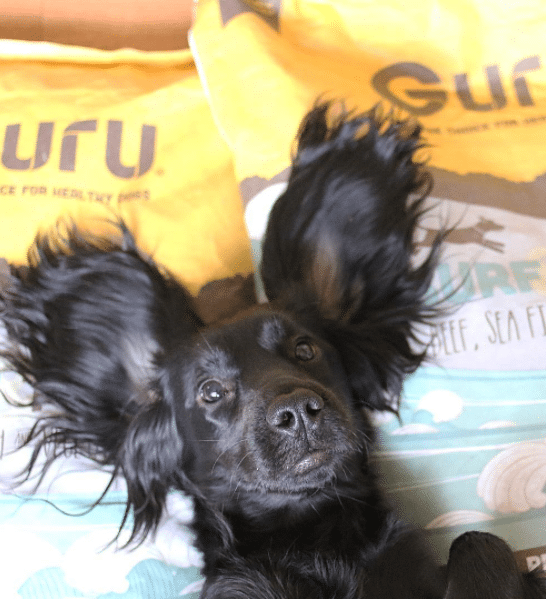 I’m not saying that purely in a capacity as the owner of Guru’s ambassadogs either! I was posting images of Sev and Lily with cold pressed products before they started in the role. 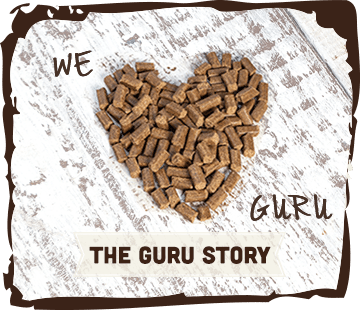 They’ve taken up the ambassadog’s baton as we believe in the concept of cold pressed dog food and the care-centric approach of Guru. 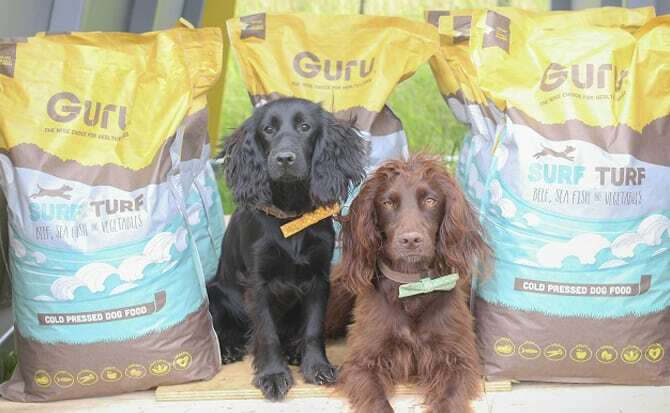 The adorable Sev & Lily give Guru Cold Pressed dog food their ‘Paws Up‘, will you?